Proponents of delayed cord clamping are really, really sure that it is better for babies, and they’re willing to look at ever more trivial outcomes to support their belief. Consider the paper published on Tuesday in the British Medical Journal, a major study of delayed cord clamping. Four hundred full term infants born after a low risk pregnancy were randomized to early or delayed cord clamping groups and after 4 months, the groups showed … no clinical difference. No problem! The authors were apparently thrilled to discover some differences in lab values, despite the fact that both groups had normal lab results and are trumpeting this “benefit” far and wide in press releases. Haemoglobin and iron status at 4 months of age with the power estimate based on serum ferritin levels. Secondary outcomes included neonatal anaemia, early respiratory symptoms, polycythaemia, and need for phototherapy. … There were no significant differences between groups in postnatal respiratory symptoms, polycythaemia, or hyperbilirubinaemia requiring phototherapy. Though there were no clinically relevant differences, the authors went looking for differences in laboratory values. The authors trumpet these findings as supporting delayed cord clamping, but, in fact, they are basically meaningless. While it is of theoretical interest that infants in the delayed clamping group have higher normal iron stores, iron stores in and of themselves are not meaningful since they don’t affect health. The health parameters of interest are hemoglobin level and hematocrit (amount of red blood cells) and those are exactly the same. 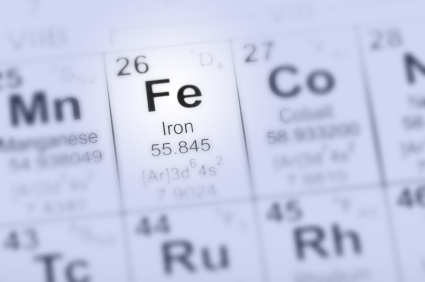 The authors define iron deficiency as ≥2 indicators of iron status outside reference range (ferritin <20 μg/L mean cell volume <73 fL, transferrin saturation <10%, soluble transferrin receptor >7 mg/L). In both the early and delayed cord clamping groups, values for all parameters were well in the normal range. There is no reason to believe that that the having higher normal values (as in the delayed clamping group) offers any advantage over having mid-range normal values. Of note, the authors chose to report on the two groups at 4 months of age. Other studies of delayed cord clamping have shown that differences in iron stores disappear by 6 months of age. Delayed cord clamping had NO effect on hemoglobin levels at 4 months of age. Delayed cord clamping had NO effect on the health of the infants at any point. Delayed cord clamping improved certain laboratory parameters, but both groups were normal. In countries with a high prevalence of anemia (low and middle income countries), increased ferritin may be clinically relevant, but there is no evidence that increased ferritin is clinically relevant in high income countries. Iron deficiency in the absence of anemia might be associated with impaired development, but there is no evidence that lower but normal iron stores are associated with impaired development. What is really going on here? It is quite possible that although infants in the delayed cord clamping group received additional red blood cells, they did not need those red blood cells. Their bodies destroyed those cells and did not replace them, so that by 4 months of age, there was no difference in hemoglobin levels in the two groups. While this study indicates that the delayed group had higher iron stores at 4 months, this effect is known to disappear by 6 months and may simply represent the fact that the body has not yet been able to dispose of the excess iron left over from the extra red blood cells that it did not need. In other words, this data could just as easily be interpreted to mean that, far from benefiting from delayed cord clamping, infants had to work to get rid of the excess (and unneeded) red blood cells and iron over a period of 6 months. In any case, the key point is that the authors failed to show any demonstrable clinical benefit to delayed cord clamping in term infants.